Joan Jett and the Blackhearts are coming to Fantasy Springs Casino this May with special guest Elle King. Tickets for the Sunday, May 26th show (Memorial Day Weekend) went on sale today. JUST ANNOUNCED! @joanjett with special guest @ElleKingMusic are coming to #FantasySprings on Memorial Day Weekend! Tickets for the Sunday, May 26th show go on sale this morning at 10am. Tickets run $49 to $89. 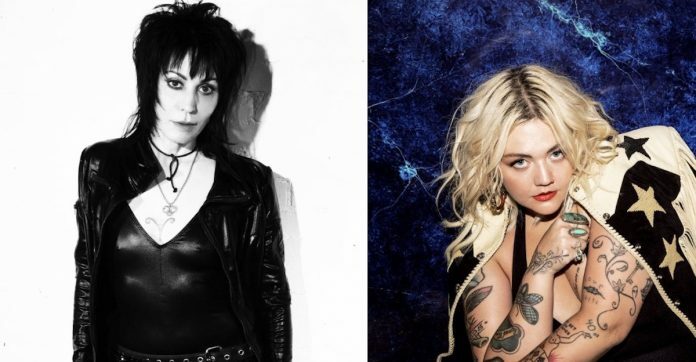 March 22, 2019 – INDIO, CA – Rock and Roll Hall of Fame members, Joan Jett & the Blackhearts, will be joined by up and coming country-rock singer-songwriter Elle King for an incredible night of music at The Special Events Center at Fantasy Springs Resort Casino on Sunday, May 26, 2019. Her independent record label, Blackheart Records, was founded in 1980 after she was rejected by no less than 23 labels. Blackheart is one of the longest running indie labels and continues to give voice to new bands. Jett has acted in movies and television, including 1987’s Light Of Day, and in a Tony-nominated Broadway musical, The Rocky Horror Show. Multi-platinum and Grammy-nominated recording artist Elle King released her critically-acclaimed second album, Shake The Spirit in October 2018, featuring current single “Baby Outlaw.” Shake the Spirit is the follow up to her debut album Love Stuff which featured her breakthrough single “Ex’s & Oh’s,” and earned her two GRAMMY nominations and was certified double platinum. The track hit No. 1 on Billboard’s Hot Rock Songs Chart, and topped the AAA, Hot AC, and Alternative Radio charts, leading King to become the second female artist in 18 years to reach No. 1 at the latter format. She was also featured on Dierks Bentley’s GRAMMY-nominated No. 1 Country Airplay hit “Different For Girls” (she performed it with Bentley at the CMA Awards and took home an award for “Musical Event of the Year”). King also performed for President Obama in honor of Mavis Staples at the 2016 Kennedy Center Honors. Elle King will be appearing on the new season of American Idol next month and performed on Good Morning America, Late Show With Stephen Colbert, Live with Kelly and Ryan, and The Late Late Show with James Corden, and Late Night With Seth Meyers, in support of her new album. Visit www.elleking.com for more. Tickets for the 8PM Joan Jett & the Blackhearts and Elle King show are on sale Friday, March 22 for $89, $69, $49 at the Fantasy Springs Box Office, via telephone (800) 827-2946 or online at ww.FantasySpringsResort.com.